Maybe you thought, “but wait, what exactly is 3M again?” That’s a good question, because unless you’re really into textiles, you might not know. Basically, 3M refers to that really shiny silver material you see weaved in and out of our 3M laces. 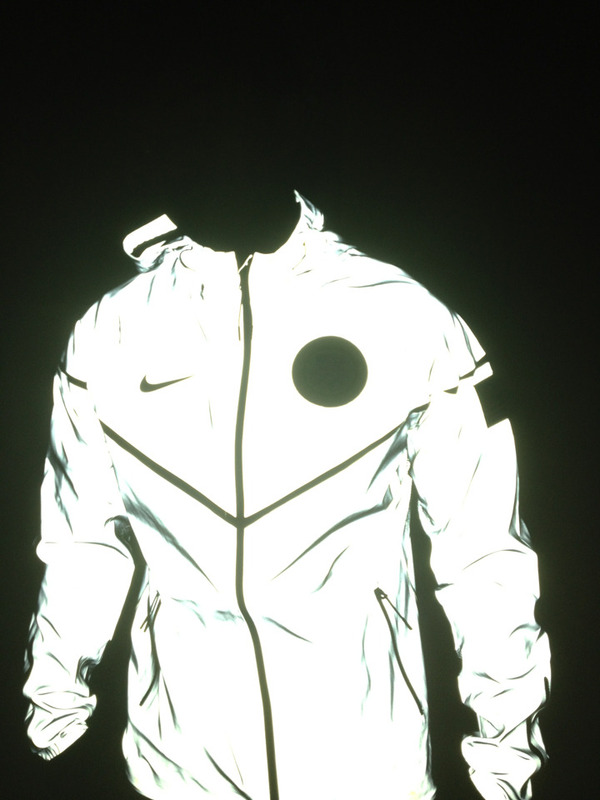 That silver cross weave is a retroreflective fabric that more-or-less reflects light back to it’s source. In bouncing the light back to its source, the material becomes really, really bright. Your earliest memories of retroreflective material was probably the crossing guard lady. Think about that vest she was wearing—it was probably neon green or orange, complete with those wide silver stripes down the front. That’s classic 3M hotness right there. Moving forward a couple decades, 3M material was adopted by the fashion world when technical designs became prevalent in clothing. The hi-visibility meets astronaut look was big in the late 90’s and like all culture trends, the 3M craze came back again in the late 2000’s. One of the first instances of 3M outside of retroreflective workwear (think back to the crossing guard lady) was the OG Jordan V’s. These bad boys came with a 3M tongue. A 3M tongue meant your feet were hi-vis whether you were dunking on Clyde Drexler or doing, you know, anything else. Now we even have 3M laces, and by we, we specifically mean Lace Lab. So if you’re in the market for a night run, or a night out, catch everyone’s eye with 3M laces.